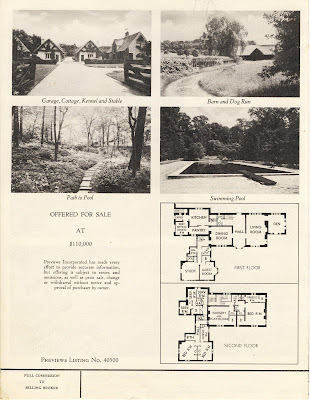 A brochure advertising 'Happy House', the John William Mackay III estate designed by John Cross of Cross & Cross in 1929 in Roslyn. 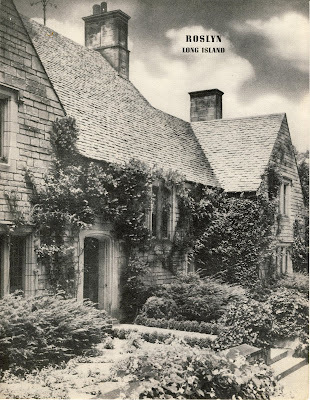 The property sat across Glen Cove Road from his father's estate 'Harbor Hill'. J.W. 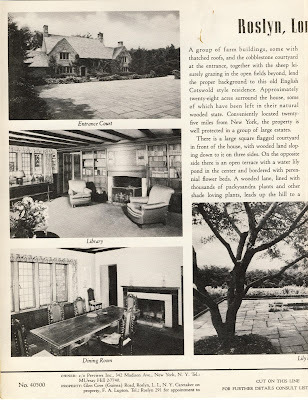 married Josephine Gwendolyn Rose (daughter of George Rose of 'Overland House' in Old Westbury) in 1929 and it is very possible this house was a wedding present. In 1957 J.W. 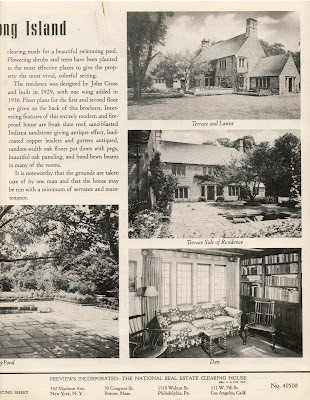 purchased 'Matinecock Farm' in Lattingtown. Click HERE to see 'Happy House' on google earth and HERE on bing.